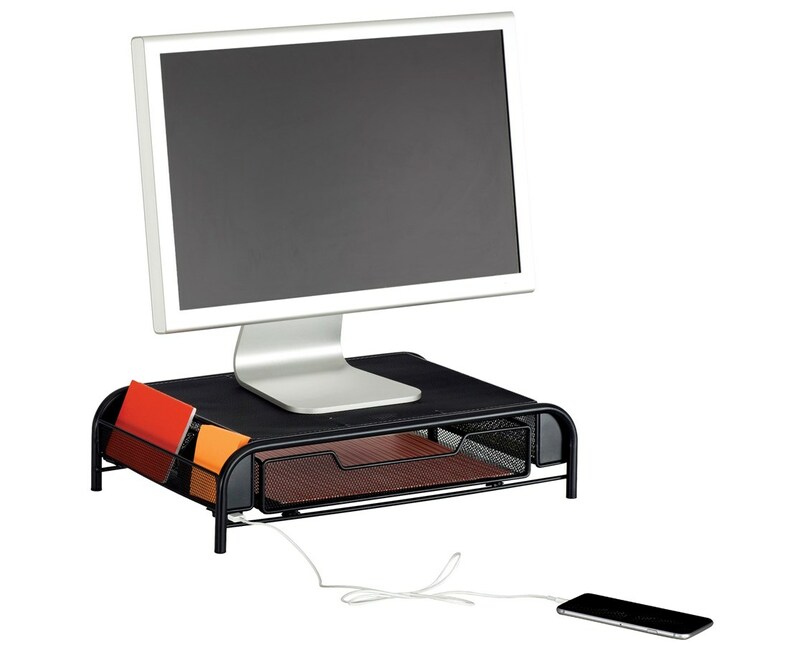 The Safco Powered Onyx Monitor Stand is a tough and stylish computer monitor stand great for any work environment. It has a pull-out storage drawer and side pockets that can be used for keeping notebooks, folders, documents, and other supplies. 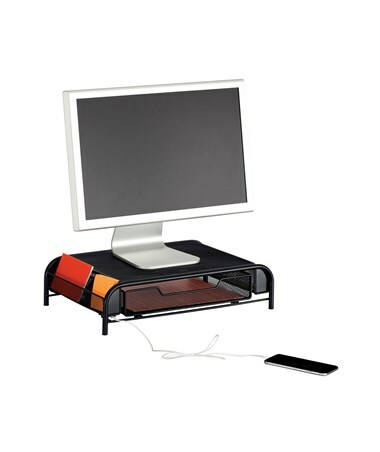 This stand also includes a power cord and a USB port to allow users to charge devices while working. This monitor stand is made of steel mesh with a durable powder coat finish.